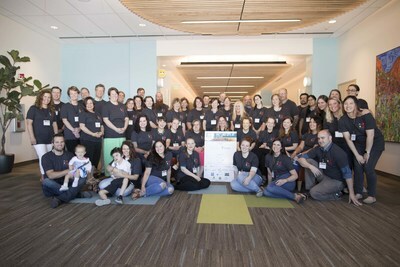 ALISO VIEJO, Calif., March 12, 2019 /PRNewswire/ -- Leading rare disease patient advocacy organizations, Global Genes and the EveryLife Foundation for Rare Diseases, are pleased to announce the third annual RARE on the Road – Rare Disease Leadership Tour. The four-stop roadshow will kick off in Boston on March 30, travel to Birmingham, Ala. on May 4, Denver on May 18, and conclude in Sioux Falls, S.D. on July 13. Following two successful years, RARE on the Road aims to educate and empower the next generation of advocacy leaders by providing the knowledge and tools to better serve their rare disease community. "Connecting, empowering and inspiring members of the rare disease community is what our partnership with the EveryLife Foundation for Rare Diseases has enabled," stated Angie Rowe, interim executive director, Global Genes. "Expanding the RARE on the Road program to reach more community members was an easy decision when looking at the success and passion generated since its inception." "We are pleased to collaborate with Global Genes once again," said Julia Jenkins, executive director of the EveryLife Foundation for Rare Diseases. "RARE on the Road has been successful, because it reaches out to rare disease patients in their own backyard, making it easier for them to learn how to make their voices heard to policy makers and Members of Congress. We hope to build on this success and continue to unite the rare disease community." Global Genes is a 501(c)(3) nonprofit organization on a mission to connect, empower and inspire the rare disease community. We provide hope for more than 350 million people affected by rare disease around the globe. To date, we've educated 6 million people in 100 countries about rare disease, equipped 30,000 patients and advocates with tools and resources, and provided $400,000 in support for innovative patient impact programs. This is just the beginning of what we can achieve together. Visit globalgenes.org to get involved today.